Eurocom has always been at the tip of the technological spear when it comes to mobile work stations. Built with the most chassis, components and thermal solutions, Eurocom has been the go-to solution for professionals at the top of their field. Limited by technology available, and contained by stationary inefficiency, professionals from all over the world have turned to Eurocom to free them from the constraints of modern technology in order to unlock their potential and advance to the next tier of innovation. The Education Program has been supporting students and educators get the cutting-edge, adaptable, upgradable hardware they need to succeed in their fields. In almost any faculty or department imaginable, from architecture to medical sciences, engineering, media work, and information systems, students and educators alike have come to the Eurocom Education Program for assistance. The first update to the Eurocom Education program is an initiative called Eurocom Student Profiles. 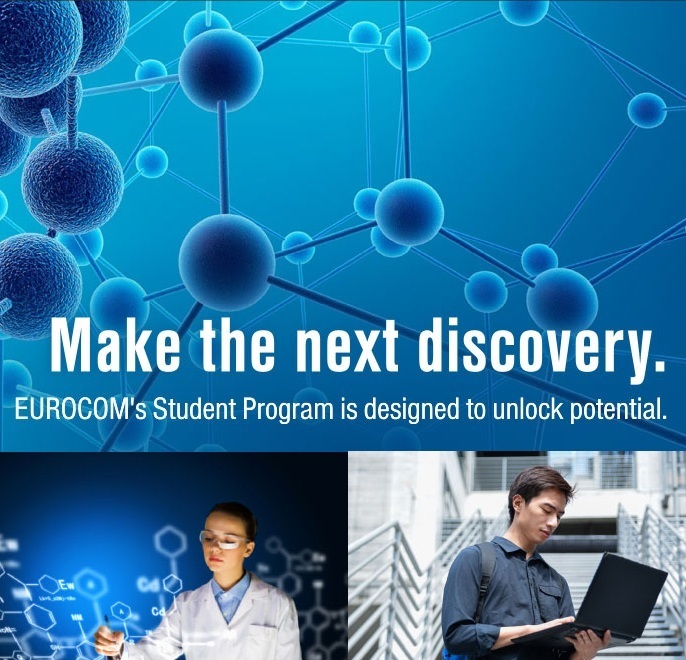 Over the coming months Eurocom will be working closely with students from all over the world, who have utilized their Eurocom laptop to accomplish great things, create case studies and profiles of their accomplishments to inspire the next generation of students. “Students are achieving goals on their pathway to success every day with the help of Eurocom technology. Now we want to bring them to light.” – Mark Charette, Eurocom Education Coordinator. Here are just a few quotes from satisfied students involved in the Eurocom Education Program. Unlocking their potential with their Eurocom Mobile Workstations, these students are accomplishing tasks and exploring facets of life that they wouldn’ be able to do otherwise. As students’ progress through their years of study, they accomplish greater and greater things. To keep up with diverse and growing educational demands, they need adaptable, upgradable technology that enables them to achieve and surpass their goals. We want to hear what those goals and achievements are. We want to exhibit what students across the world can really do when technological constraints are removed from the equation. Now that Eurocom has helped students with their hardware, we are ready to shine a light on their incredible achievements.